It’s that time of year again: Back to School! While students of all ages cling to their final vestiges of freedom, we at FWMoA welcome this time of year. 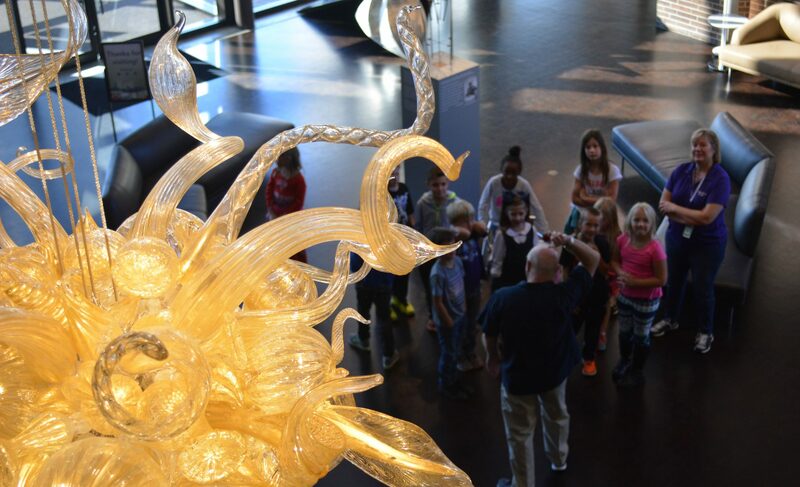 It’s when our galleries fill up again with tour groups and brighten our days. I was one of those kids excited to go back to school—I could learn and see my friends? Yes, please! I can see you shaking your head and smiling about how that eager little girl ended up in a museum (where she can now learn literally every day of the year) but I’m not the only one! There are artists who look back on school days with fondness, and one of them is on display just in time for the school year to start: Winslow Homer. Homer was one of the most prolific American artists of the 19th century. He grew up in New England and began his career as a commercial printmaker. In 1861 he was working as an illustrator for Harper’s Weekly, a new nationally syndicated journal. By this point the Civil War was in high action and Harper’s sent Homer to the front line to both illustrate and report on what was happening. The subsequent paintings were both poignant and anecdotal, features that would come to define his career as an artist. After the Civil War ended Homer settled in New York City where he continued to illustrate for various magazines and paint. It was at this point in his career when Homer made a name for himself as an artist. He regularly traveled to popular seaside resorts in Massachusetts and New Jersey, the Adirondacks, rural New York State, and New Hampshire’s White Mountains. Homer focused on women at leisure and children at play or preoccupied in their own little world. As his interest in childhood innocence and play grew, Homer found himself traveling to schoolhouses. It was on one of these trips that inspired one of his most enigmatic paintings: 1872’s Snap the Whip. Snap the Whip depicts a rowdy group of boys at recess playing the old game of Snap, or Crack, the Whip. When I first saw Homer’s illustration of the game it reminded me of a less violent version of Red Rover, and after looking it up, I wasn’t far off! Players stand in a line holding hands, and a leader at one end of the line begins to run around in whatever direction they please. The other players in line don’t move until the person in front of them tugs their hand, and naturally the line begins to move quicker and quicker as the leader picks up speed. As a result, the last person in line gets “snapped” in the direction the line is traveling, much like the end of a whip. Hilarity ensues as the line gets shorter and as the “snappees” at the end of the line are unable to hold on and tumble in the grass. Homer’s Snap the Whip was a commercial and critical success when nationally exhibited at the 1876 Centennial Exhibition, America’s first World’s Fair, held in Philadelphia. It was purchased in 1912 by Carnegie Steel industrialist Joseph G. Butler, who had admired the painting in 1876 as a young man. Snap the Whip is in the permanent collection of the Butler Institute of American Art in Youngstown, OH. While the painting has remained popular due to its nostalgic view of innocent childhood, it’s always been somewhat shrouded in mystery: Where did Homer paint these children? The location of Homer’s schoolhouse remained unknown for over 150 years. Homer scholars hotly debated the possibilities, among them East Hampton, Ulster County, NY, and Ellenville, NY, but no one was able to come to a conclusion. That is, no one had an answer until Reilly Rhodes, curator of Winslow Homer: from Poetry to Fiction—the Engraved Works, finished his 20-year quest for the schoolhouse’s location with a victory. A lifelong admirer of Homer, Rhodes was enamored by Snap the Whip and saw it as his academic duty to answer the nagging question of where it was located. How did he accomplish this seemingly impossible task? He did it the old- and new-fashioned way: he looked at sketches and paintings and used Google Maps! What you may not know is that there is a preliminary (but highly detailed) sketch of Snap the Whip at the Metropolitan Museum of Art in New York. This preliminary sketch is almost identical to Homer’s finished painting, but there are two changes. First, in the Met’s copy there is no mountain range in the background, just a skyline of simple trees and blue sky. In the finished painting, Homer included a mountain behind the school. Rhodes locked on to this change and paired it with the second change: a small church steeple visible in the Met painting’s background. Rhodes knew that Homer included this steeple in only two of his finished paintings, and it had been identified as the Dutch Reformed Church in Hurley, NY. Winslow Homer, American. Snap the Whip, lightbox reproductions of the original works. Exhibition photo by Alyssa Dumire. Then, Google Maps entered the picture. Rhodes began combing through the countryside surrounding the Dutch Reformed Church (which still stands), and he found something: a rectangular structure, much like that of an old schoolhouse, just north of the church. After further research and a visit to the sight, Rhodes could confirm that he had indeed found Homer’s erstwhile schoolhouse. It’s now home to a family who’ve added on to the original structure, but the old bones can still be recognized. You can no longer see the steeple from the schoolhouse (trees grow quite a bit over 150 years) so Reilly employed the talents of a local drone photographer. After climbing just a few feet into the air, Homer’s exact view from the Met sketch was captured. Homer’s aesthetic decision to add an imaginary mountain was the reason no one had been able to identify the school’s location. This may be one of the first times that Google Maps and drones have been used to answer art historical questions surrounding a painting. Those kinds of answers are traditionally reached through arduous research and a connoisseurs’ eye. I’ll be especially interested to know how many other mysteries will be answered through the marriage of new and old research techniques. Want to see the differences for yourself? Come look closely at Homer’s works in Winslow Homer: from Poetry to Fiction—the Engraved Works, open through September 23rd.